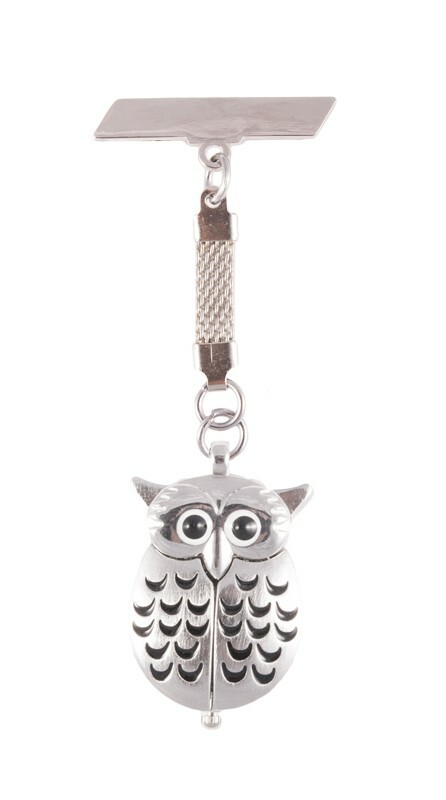 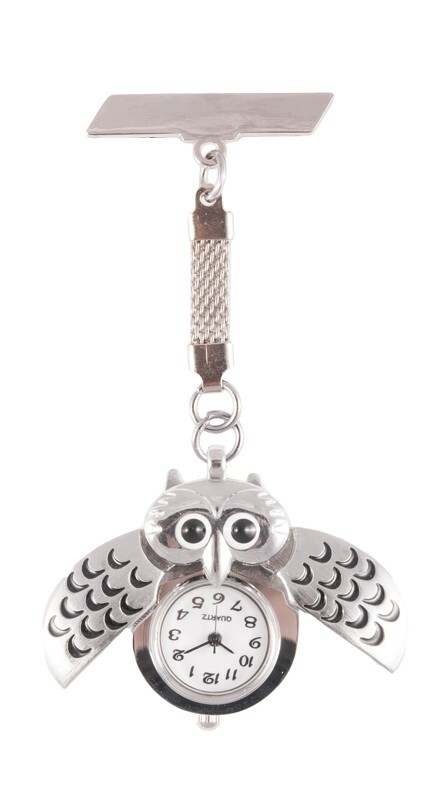 The dial face is protected behind the wings of this cute owl. 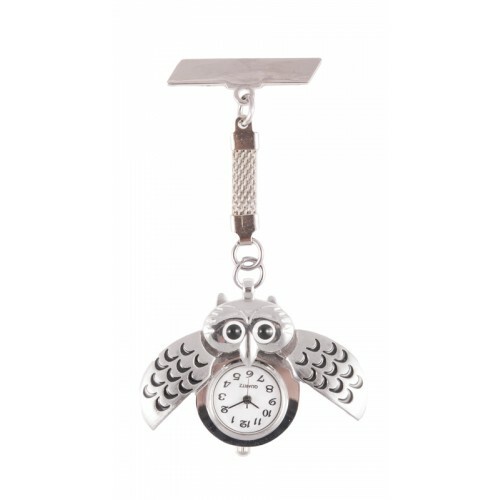 The wings are easily opened to reveal your watch with the dial upside down or the right way up for a nurse at work! 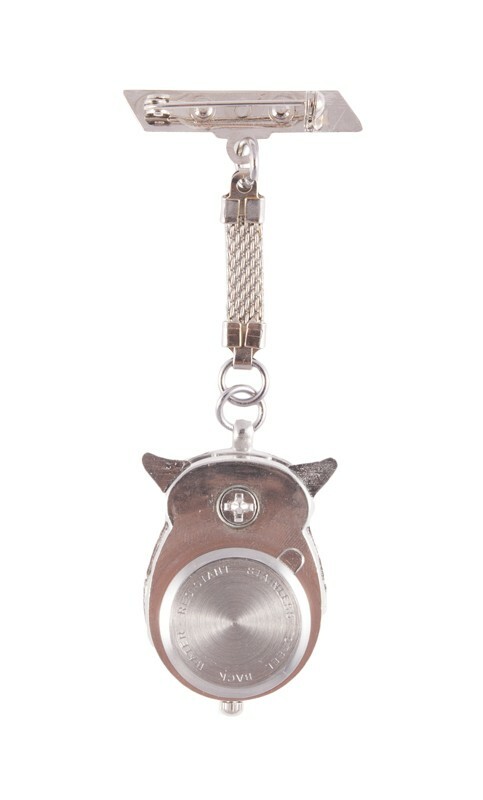 The watch comes with a brooch pin that easily attaches to your uniform or clothes.